When something so advanced, so outstanding comes along, a new category must be created. This is such an instance. Nutrafin is proud to claim the title of the first truly premium fish food. Nutrafin Max is the only fish food that has the highest quality ingredients, scientific breakthroughs in added nutrients and waste reduction, and a thorough quality assurance certification program to ensure that your fish receive only the best. Nutrafin, a trusted Hagen brand, has been dedicated to scientifically developing the highest quality and most effective fish nutrition and water treatments for over 30 years. Their goal is simple: to provide everything needed to create an environment where fish can thrive. Every Nutrafin product is extensively tested and held to the highest possible standard before it ever leaves the lab, so you can use them with confidence. Nutrafin Max is a well known, leading product in providing quality nutrition for many fish species. 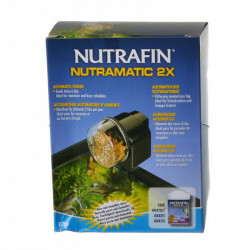 Nutrafin water treatments including Aqua Plus, Cycle and Waste Control are designed to create optimum conditions in your aquarium water for the ongoing health and well being of your fish. 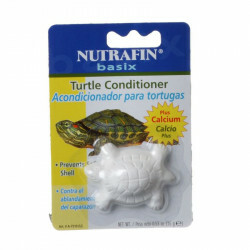 Be sure to browse all of our Nutrafin pet products to make sure you find just the right treatment for the quality of your aquarium water and health of your fish. Pet Mountain is pleased to be a leading vendor of great Nutrafin products. Pet Mountain is proud to offer you a wide selection of Nutrafin pet products, at the very best prices available anywhere! Take a look at all of our huge selection of great deals! Can't find something you're looking for? Let us know! We'd love to help. Be sure to check out our online coupons and discount shipping on all your favorite products.